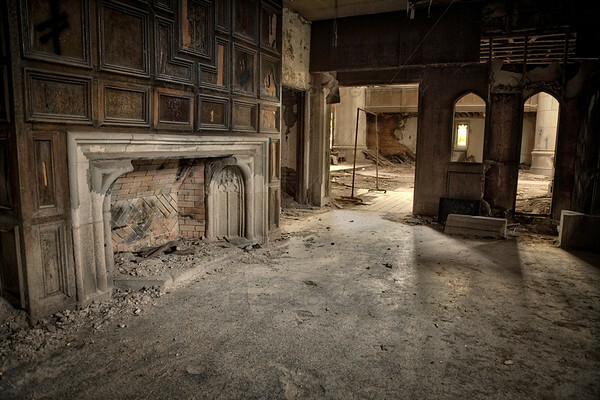 An old fireplace remains in the City Methodist Church in Gary, Indiana, over forty years after the church closed it’s doors for the last time. Today, the church crumbles in the middle of downtown Gary, Indiana. This church has been a popular place for urban exploration photographers, also known as urbex photography, because Gary has so many abandoned buildings. Be sure to check out my other urbex photography taken from around the United States!